Our hourly-based fee model gives us the flexibility to meet our clients' diverse financial planning needs, rather than following some predetermined agenda. Over the years, three primary offerings have proven to be most popular with our clients. Here's a brief description of each - please follow the links below for for more detail on each service. 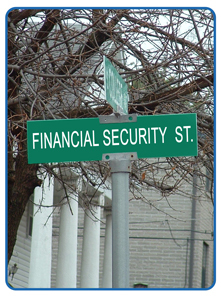 The Financial Fitness Checkup - Our most popular service. This is a highly interactive and intensive review of your overall financial situation including investments, taxes, debt, savings, insurance, and more. We cut through the confusion, and help you understand specific changes that you can make to simplify and take control of your financial life. Hourly Engagements - If you're seeking professional guidance on only one or two specific questions or issues, an hourly engagement may be the best choice for you. Retainer Engagements - These are longer-term (three to twelve months) engagements. You'll have access to professional advice on an ongoing basis, with periodic meetings as needed. Please follow the links for far more information on each of these engagement types. We welcome your call if you have additional questions or if you would like to schedule a time to meet with us. Please call us at 614-604-3551.